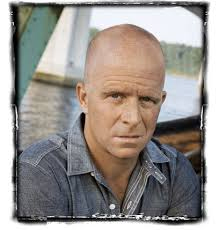 Ben is the author of multiple thrillers featuring protagonist Dewey Andreas. Ben worked at the White House under President Ronald Reagan and was a White House-appointed speechwriter to the U.S. Secretary of Energy at the height of the Gulf War. Ben was campaign manager for Mitt Romney’s successful run for Governor of Massachusetts and was a Fellow at Harvard University’s John F. Kennedy School of Government. A graduate of Columbia College, where he won the Bennett Cerf Memorial Prize for Fiction, Ben lives in the Boston area with his wife and four children. To get a signed copy, simply write "SIGNED COPY" in the comments section. Indicate if you would like it customized for a specific person (books must be pre-paid for this option). Gift wrapping is complimentary. Availability: Coming Soon - AVAILABLE FOR PRE-ORDER NOW!